I love trying out new ways that can help keep my skin soft. So when I had the opportunity to try two products from the Forever Young Skincare at The Spa Life I was pretty excited. 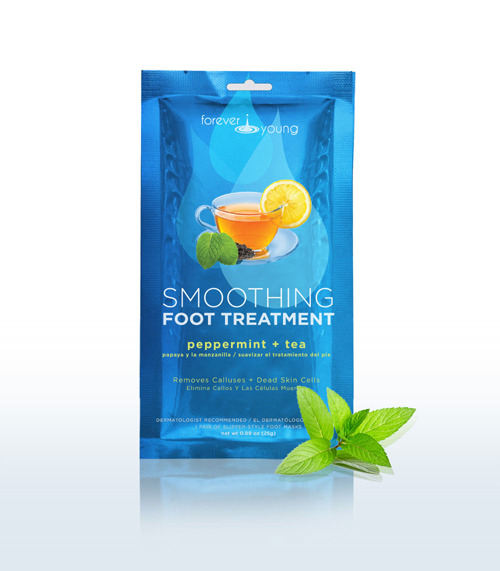 The two products I tried were their Smoothing Foot Treatment, which is suppose to help remove calluses and help soften and smooth rough feet and their Restoring Hand Treatment, which helps restore skin and lock moisture. 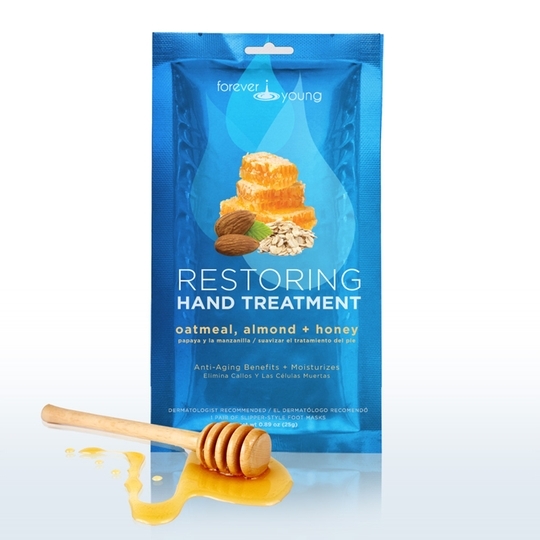 The Restoring hand treatment seemed to work really well! I had my mother try it out since she has noticed her hands showing signs of aging. The hand mask moisturized very well! We noticed a huge difference in such a short amount of time. Once the gloves came off, we opted for the option not to rinse off her hands, and all she had to do was rub in the excess product until absorbed. Not too different as using Vaseline as a moisturizer, and after a few minutes all that was left was softer hands. Overall, very pleased with this product and my mother and myself will give this product a try again in the near future. I had super high hopes for the Smoothing Foot Treatment since I am not one to go to a salon to have a complete stranger touch my feet, any chance I get to care for my feet at home, I welcome it! I will start off with the things that I thought needed improvement. The size of the socks. If my feet were any bigger than the size 8 that I am, it might have been kind of difficult or just plain uncomfortable to get my feet in the socks or to keep them in for 60 to 90 minutes for that matter. Other than that the product did it's job and with that I am pleased. I didn't see results right away, but after 10 days as stated on the package I begin to see that the treatment was working.